Project HIRED & Adobe are bringing the community together to celebrate advances within diversity and inclusion in our community. Enjoy networking opportunities, a gourmet breakfast, and the chance to hear stories from those who have made an impact on our workforce. All proceeds from this event go directly towards programs to assist job seekers with disabilities to find sustainable employment! 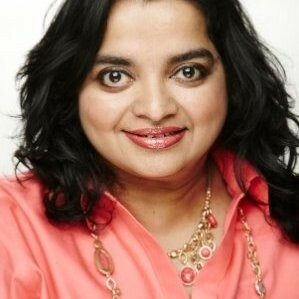 Rani Mani is the Head of Global Social Influencer Enablement & Employee Advocacy at Adobe. She's passionate about cultivating and nurturing communities and coaching others to do the same. Rani is currently working across Adobe teams to infuse influencer relations into their strategic plans in order to elevate the voice of the community. Nicknamed The Velvet Hammer, Rani's mantra is to make the impossible seem possible through her humor, grace, and passion. When she's not asking provocative questions and making declarative statements at work, Rani is making magical memories with her husband and four kids as they continue to visit the many wonders of the world. 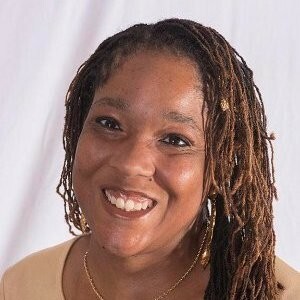 Community Speaker: Kari Kelley, Disability Activist & Author, "Black Blind & Female"
Kari Kelley is a writer, speaker and vocalist deeply passionate about sharing her voice of courage and inspiration. She has been featured on a wide variety of stages, panels, radio and TV shows across the United States. Kari is the author of "Black, Blind and Female;" the creator, producer and performer of her one-woman show "Somebody Else's Child;" and a contributing author to the bestselling e-book Village Pearls: Spiritual Practices to Uplift your Soul and the No. 1 Amazon bestselling book Heal Thy Self. Kari has entertained VIPs at sold-out networking events all around Northern California.